The Tangled Roots arena visibly extends the brand of promoter Trinity Music London. 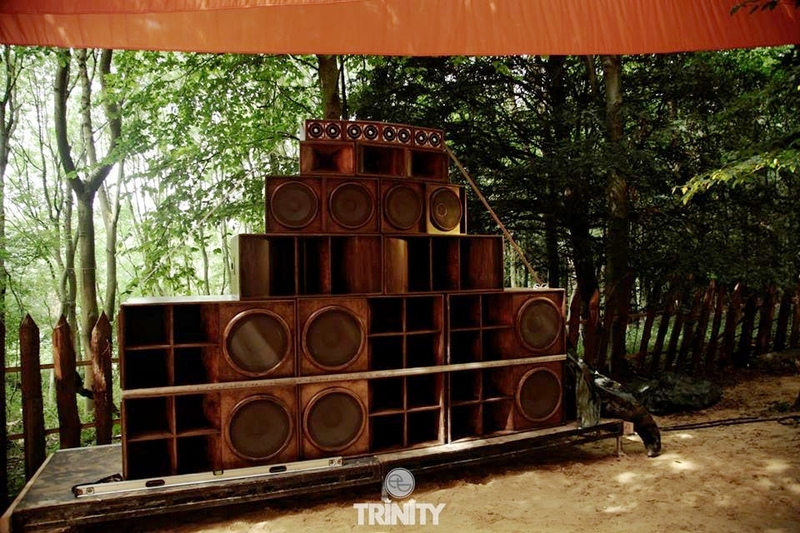 Dub was the first musical genre created specifically to be played through large sound systems, and Trinity brings a crisp modern outlook to the rich history of sound system culture. 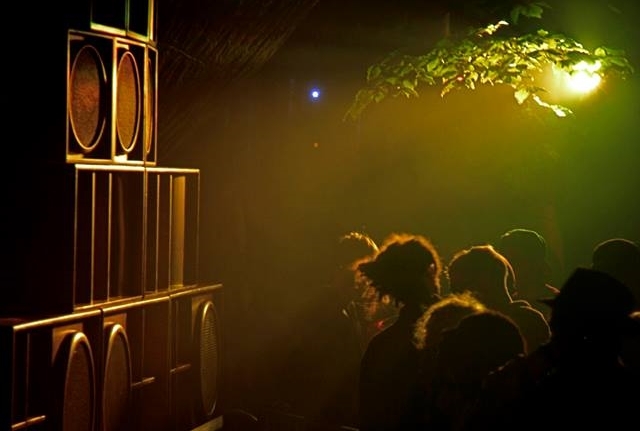 In curating the 'Tangled Roots' stage, they assembled a selection of Dub artists and two high quality sound systems: Unit 137 and Lionpulse. Beep Studio’s design for the Boom Town festival draws on the Trinity branding, with clean lines filling the arena and and a punchy colour palette providing contrast with the tree canopy. Bespoke fabric banners cut into thin triangles maximise visual impact with minimal material, and make the most of a modest £1100 budget. The design succeeds in drawing focus to the star attractions: the sound systems themselves. Beep Studio continues to provide design and procurement advice for this burgeoning artist collective through ongoing funding from Arts Council England. Concept Design development - from logo to symbol to object. 'Lion-Unit' is the showcase of the new wave of Sound System Culture in the UK. Brought together by three of the most acclaimed sound system crews. Lionpulse Officialfrom #Bristol, Unit 137 from #London and #Qualitex from Bristol. 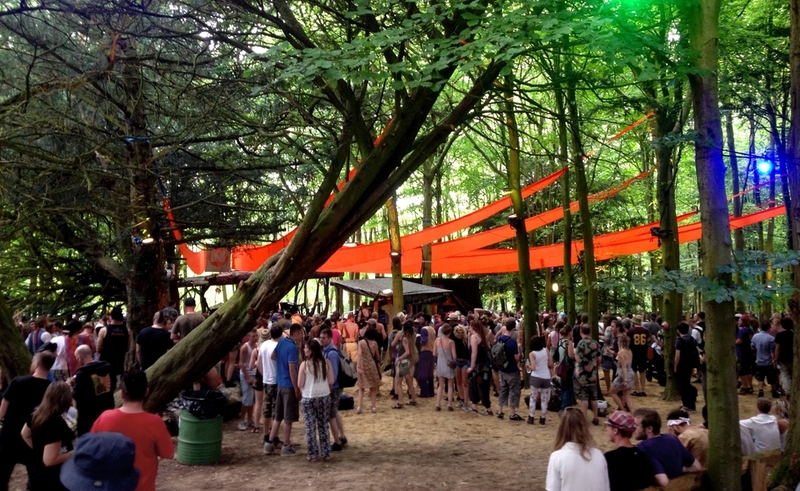 The combined sound in full effect, is a four dimensional experience. Warm, complete, rearranging bass frequencies accompanied by precise and crisp high end, create the perfect environment for undiluted sound system music to be fully represented.